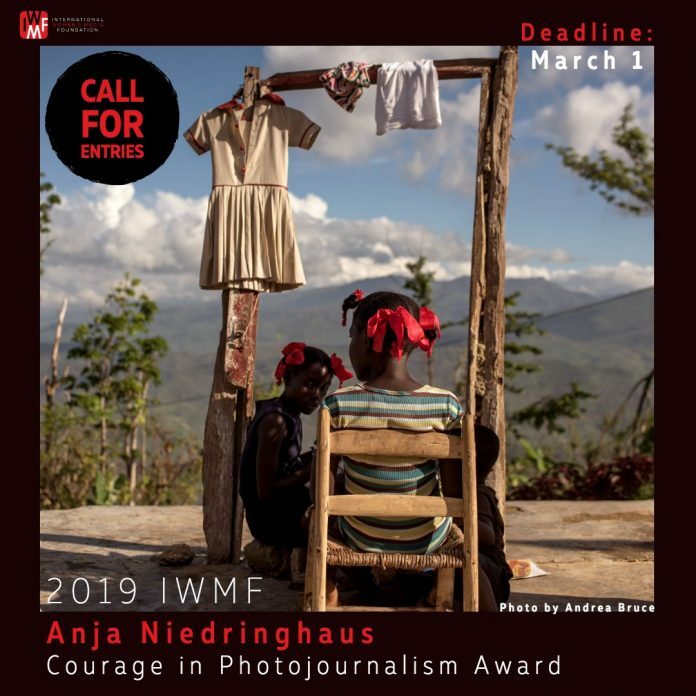 The Anja Niedringhaus Courage in Photojournalism Award was created to honor the life and work of Pulitzer Prize-winning AP photographer and IWMF Courage in Journalism Award winner Anja Niedringhaus (1965-2014). With this Award, the IWMF celebrates the courageous work of women photojournalists like Anja. The Award recognizes the importance of visual journalistic work that inspires us to take action and compels us to better understand the world. Created in 2014 with a $1 million gift from the Howard G. Buffett Foundation, the Award will be given annually to a woman photojournalist whose work reflects courage and dedication, as Anja’s does. The Award winner will be publicly honored, have her work showcased, and receive a cash prize of $20,000. All nominations must include candidate information, work samples, and a candidate/nomination statement. The required work samples are 12 photographs that best represent the scope and style of the candidate’s work, within the context of challenging reporting environments. Each photograph must be accompanied by a caption describing the date, place, and situation captured. Photos must not be manipulated post-production. Photos must depict accurately the scenes and events captured. Photo collages and illustrations will not be accepted. Six (6) of the photos must have been taken within the past two years (2017-2019). The other six can be taken at any time during the candidate’s career. What stories does the candidate tell through her photos? Under what conditions does the candidate work? How do the photographs submitted with this nomination capture the scope of the candidate’s work? How do the candidate’s career and work reflect the values of Anja Niedringhaus? Candidate statements must be written in English, French, or Spanish.